In an increasingly competitive, fast moving and complicated world, it is the quality of thinking that gives the edge – an idea that opens new doors a technique that solves a problem, or an insight that helps make sense of it all. The better you think the smart and faster you go. I believe in offering cutting edge thinking strategies and psychological tools. Thinking is a an activity of asking yourself and answering questions, the better quality of question you ask, the better quality of answer you will get. I can’t give you all the answers, but I can give you a better quality of question. Matt Caulfield is a licensed NLP Trainer and Master Practitioner with the Society of NLP; having trained with Dr Richard Bandler, the co-developer of NLP. 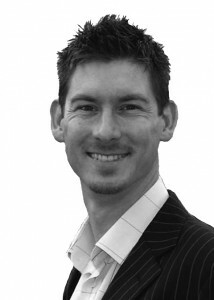 Matt first became interested in NLP in 1998, and eventually trained as an NLP Practitioner in 2000. Originally he had no intention of doing this as a job and trained purely for personal reasons, but soon friends and friends of friends asked him to help them make changes in their lives, such as stopping smoking or losing weight, so he set up a small part time private practice in 2001, after qualifying as a Master Practitioner. He used the income from this private practice to continue training in NLP and in 2003 was awarded his Licensed Trainer qualification with the Society of NLP. In 2003 he set up the Birmingham NLP Training Academy, still whilst working full time as a management accountant. In 2005 he took the plunge and left management accountancy behind to concentrate on his NLP business full time. In late 2007 he re-branded under his own name Matt Caulfield Training and Consultancy and expanded his NLP training UK wide. He is now only one small number of NLP Trainers in the UK personally certified to teach NLP by it’s co-creator Dr Richard Bandler. In his career so far, Matt has predominantly worked in the area of Management Accountancy for several large firms in the midlands including Victoria Carpets and The Law Society (where he worked in various roles for 6 years), he is a member of The Chartered Institute of Management Accountants. Has also worked in such varied roles as a salesman for collectable stamp company, roadie and conferences assistant. To see my full CV, please click here to connect via linkedin. About the images used on this site.